A recent challenge among the Xyron Design Team was to take an old project and make it new; Xyron would send the project with our supplies. Unfortunately I didn’t receive an old project with my supplies so I had to find something old and make it new on my own. I find it easier when someone just hands me something and says “here, fix this please.” But, that didn’t happen so I dug out my bin of ‘stuff’ I’ve held on to in hopes that one day I would use them to create a project. At first I found an old cd wooden advertisement box. Took photos of it and everything but nothing came to mind as to how I would use it. Then I stumbled upon my Nook box and I found the magnetic closure on the lid fascinating. 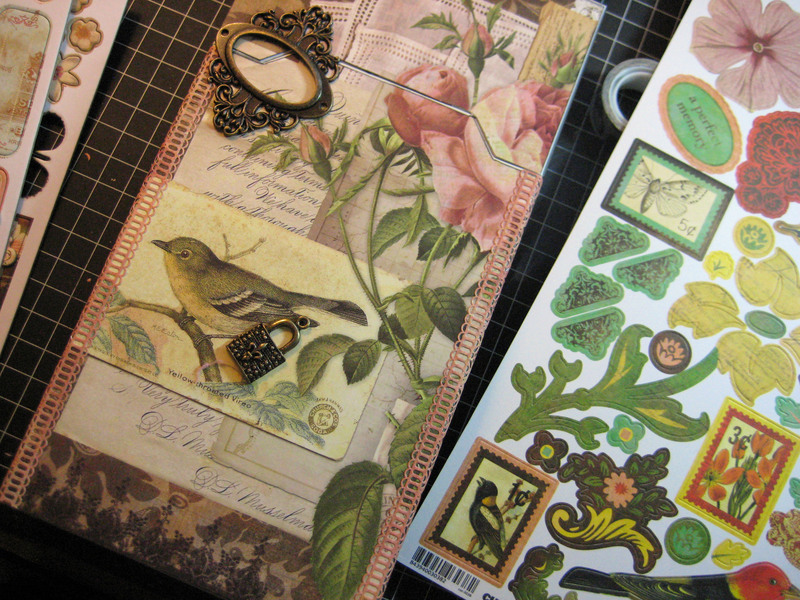 In my supplies from Xyron I received papers and stickers from the Curio collection by Basic Grey. It’s always been one of my favorite lines from that company so it would work perfectly. My daughter’s boyfriend had just left for a six-month journey so I decided to create a countdown journal for her that would fit into the Nook box and here’s how I did it. I started by selecting papers for front and back then traced the outline of the box onto the paper. A little tip for cutting a traced image – cut just inside the pencil line rather than on it, that way the paper should fit really well without needing to be trimmed. The box was actually dark brown on all sides, top and bottom so I didn’t even need to paint or cover those areas! I inked all my white paper edges with Jet Black Archival Ink from Ranger because it dries fast. Then I ran all the papers through my Xyron Creatopia. See how nicely it all fit through the machine – very easy. After peeling the cellophane cover from the Xyron-covered papers, I carefully placed the papers onto the box. I selected a butterfly dimensional sticker for the upper left corner and used Basic Grey’s paper tape on the front edges. 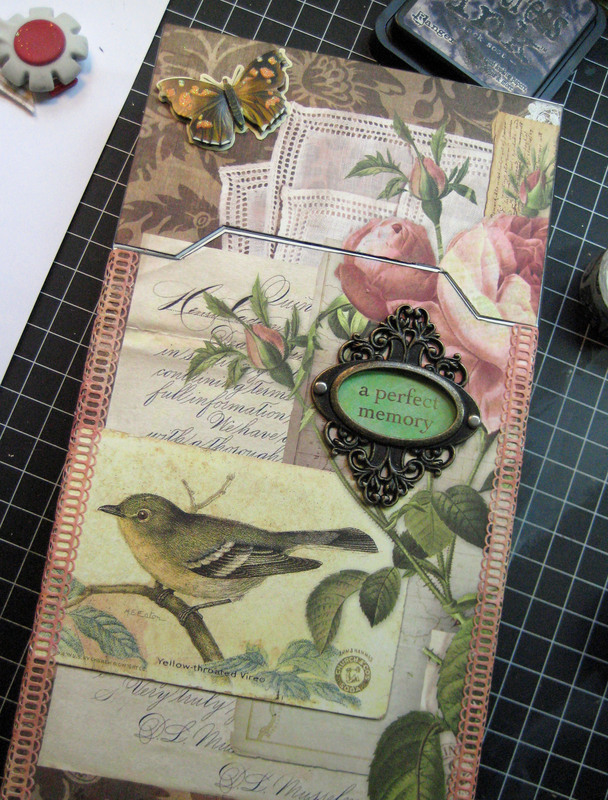 Next, I used a Tim Holtz Ornate Plate and matched ‘a perfect memory’ sticker to it for a title on the box; it is adhered with two brads. This box was very easy to cover. The book inside was just as easy – I don’t think I’ve ever made a project that came together so easily. The book to fit inside the box was cut from three sheets of Curio papers. I measured them to fit in the box after they would be folded (the pages are made by simply folding the papers in half). I used my Scor-it-all Board to get a good clean crease down the center of each paper. Then I lined the pages back-to-back and used my Xyron Mega Runner to stick them together. I inked the edges of the pages with the black Archival Ink. An EK scallop border punch was used to make my spine, scored it down the center then inked it in black and ran it through the Xyron 2.5 inch Create-a-Sticker. Peeled away the backing, lined it up and pressed it into place. 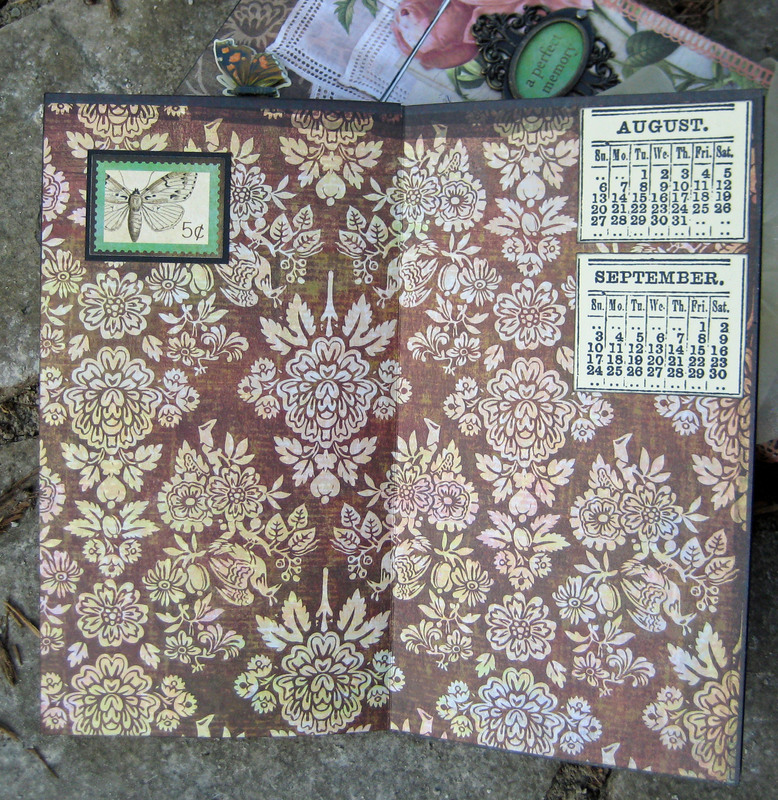 I used a chipboard sticker from the Curio collection on the front cover. 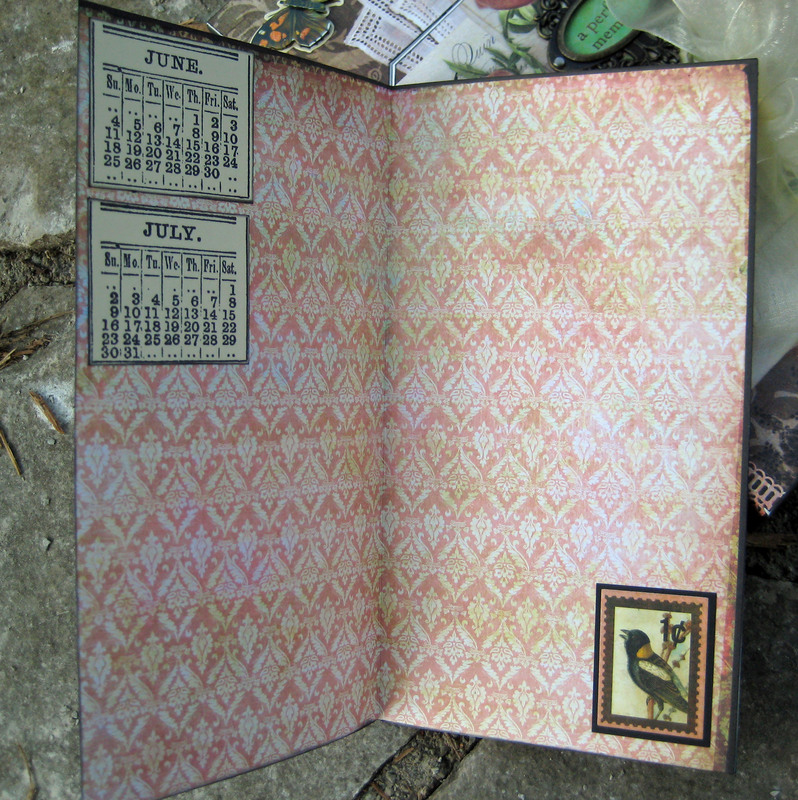 I kept the inside pages pretty simple so there is plenty of room for journaling and included stamped calendars (Tim Holtz) (CMS034 & CMS035) on each section so she can mark off the days till his arrival back home. 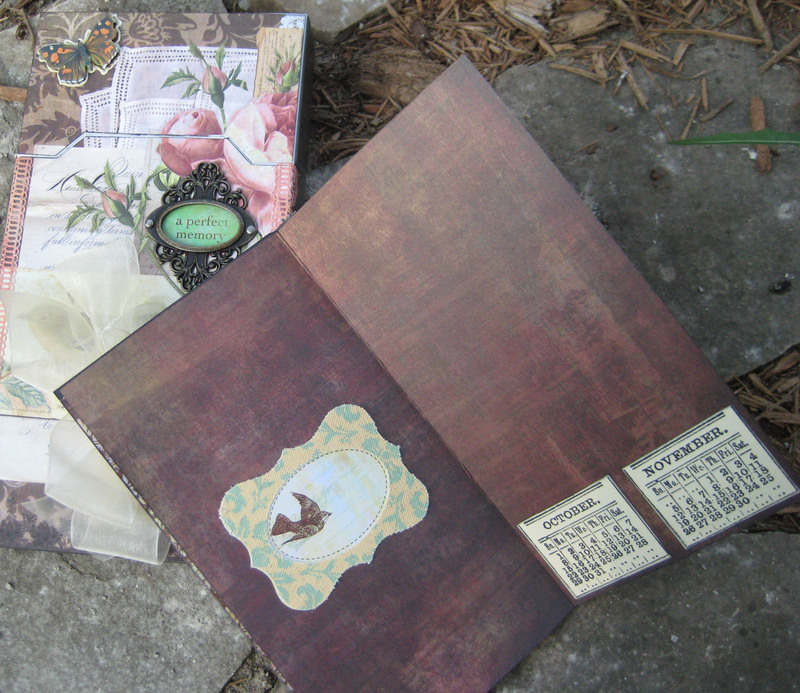 I added additional stickers to the pages as well and sealed it all with a pretty ribbon. Let me know what you think and please feel free to email with any questions. I love this! I, too, have a Nook box stored in my “to do” box. I’m glad it was so easy. I can’t wait to do mine. Thanks Candy! Get that box out and give it a try. What a beautiful project! You really brought all those papers together into a lovely book… I’m sure your daughter will love it. 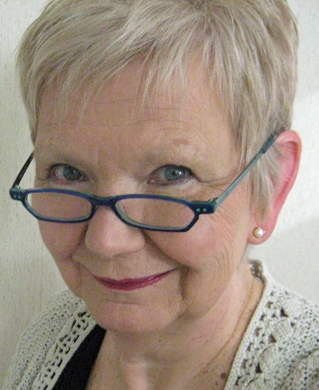 Thank you Marjie! I love that paper line – it’s so soft and romantic. She did like the ensemble. 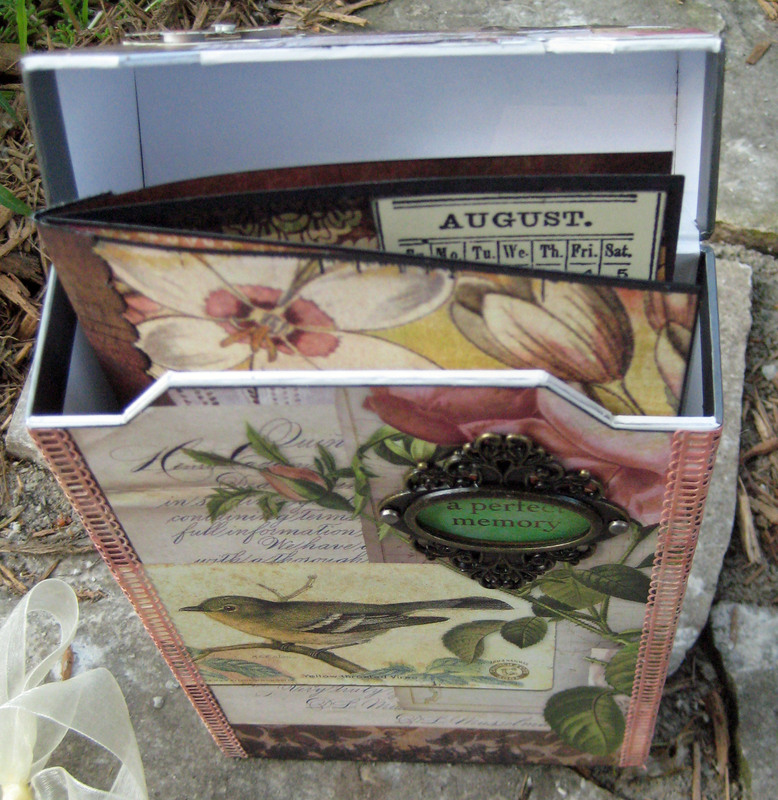 Wow, a great repurposing job, design team fulfillment and a gift for your daughter all in one! I’m sure she will love it. Thank you! It’s lovely when you can check so many items off your to-do list with just one project! I wish I could find more Nook boxes! Linda, You are simply amazing! This is beautiful. I’m sure your daughter will treasure it! Thank you. She did like it!